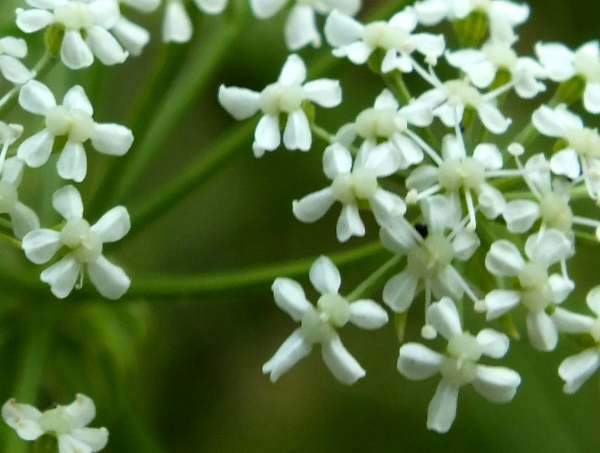 This poisonous plant is widespread and common in the UK except for the far north. 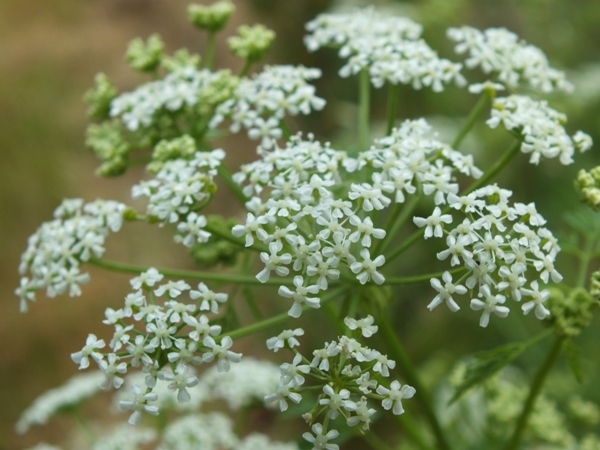 The purple-spotted stems and fern-like leaves are distinctive features of this extremely poisonous umbellifer. It grows on the edges of woods and sometimes on waste ground, and it prefers damp soils. 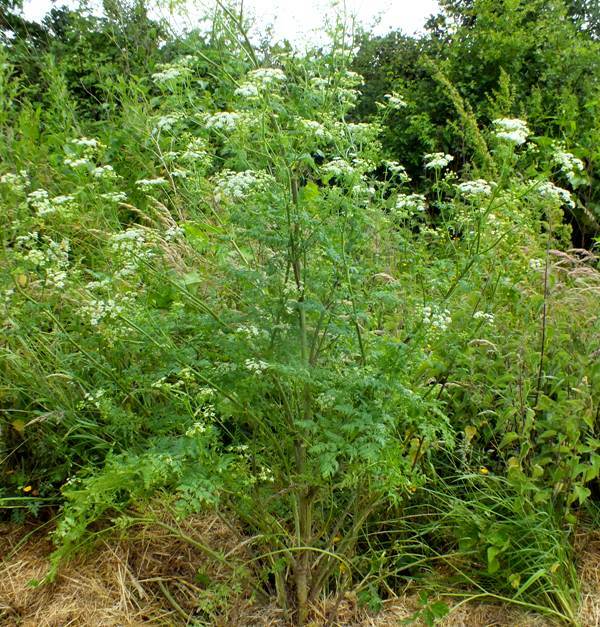 Hemlock is often quite a tall plant: it can occasionally reach head height. 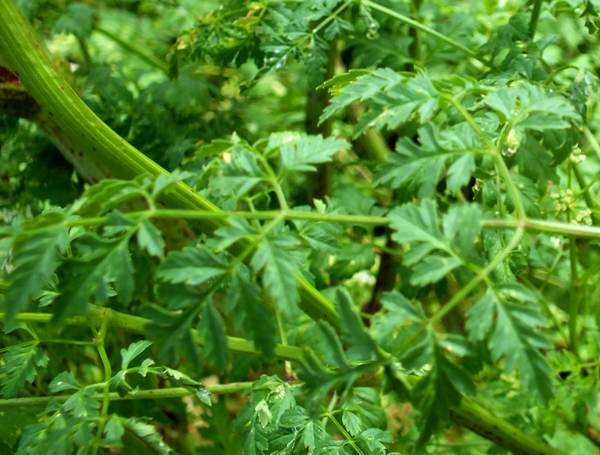 Because all parts of this umbellifer are so poisonous, the hollow stems should under no circumstances be used to make peashooters. The flowers appear in June and July. The plants on this page were photographed in West Wales and Ireland in June.